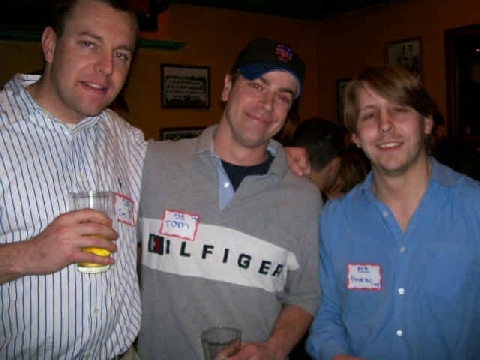 2nd Annual Alumni/Parents/Players Get Together! 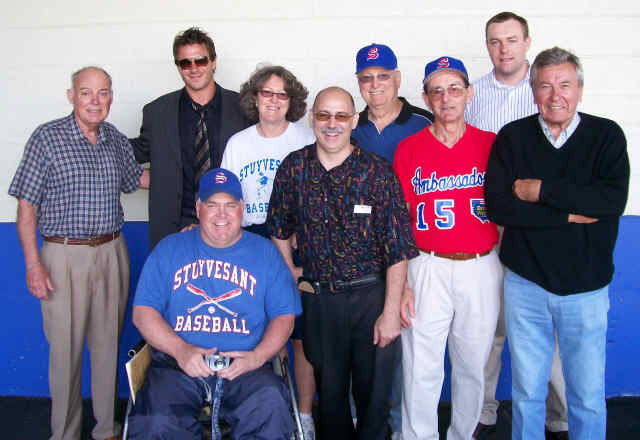 Friends of Stuyvesant Baseball honored Art Horowitz (’53) and Joe Levine (’54) with “Still a Champ” awards for their lifelong devotion to baseball. 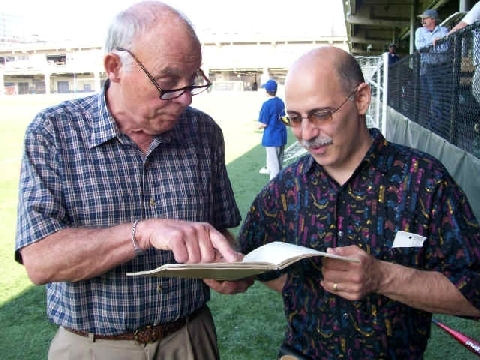 Art and Joe were members of Stuy’s 1953 Manhattan Championship team. 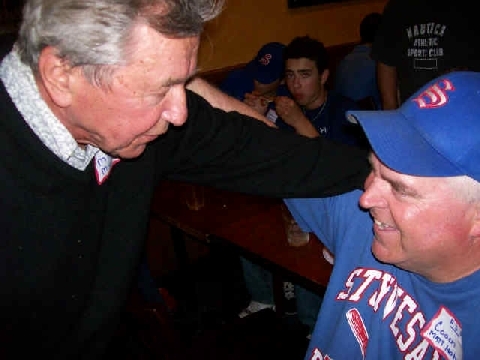 Both have spend their lives playing, coaching, and umpiring baseball. 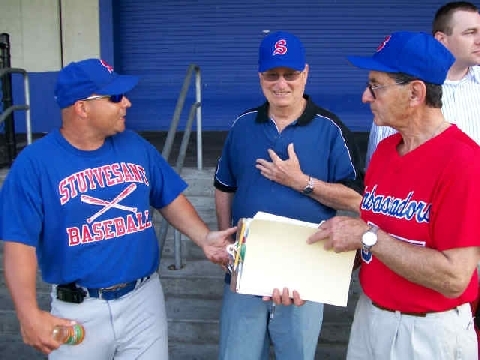 L-R Coach John Carlesi, Art Horowitz ('53), Joe Levine ('54) at Pier 40. 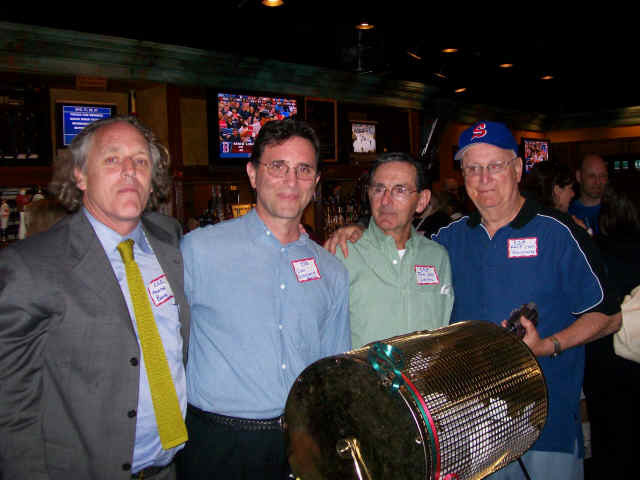 New York City Council member Jessica Lappin (’93) helped secure a city grant toward purchase of a mound for Pier 40. 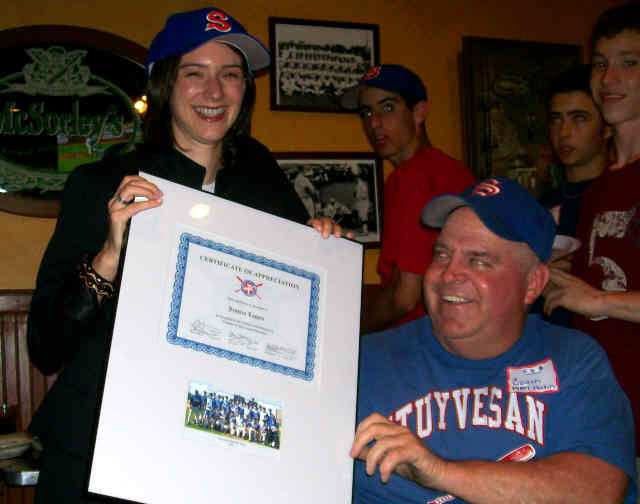 ... and a commendation from the Friends of Stuyvesant Baseball. and all the Alums and Parents who came out to support the Hitmen! 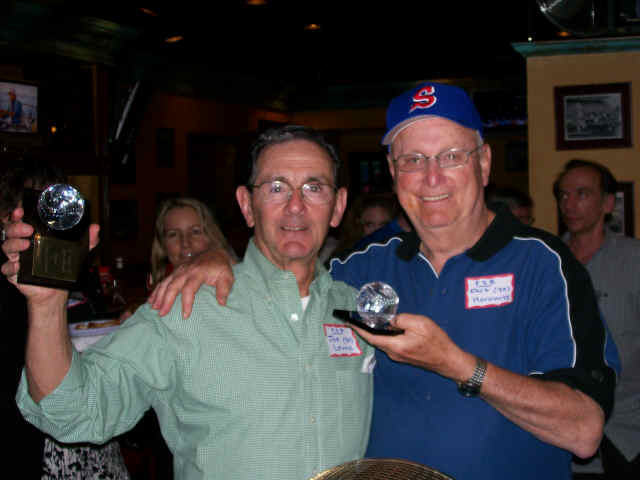 Coach Sharkey with former Captain Lou Digilio '76 at the Alumni Reunion game in 2006.